Restless Leg Syndrome (RLS) is defined as an overwhelming urge to continually move one’s legs. People with RLS complain of extremely uncomfortable sensations in their legs and occasionally in their arms. This is relieved by movement. These sensations, which are sometimes difficult to describe, could include throbbing, cramping, aching, burning and pulling. Although it is not serious or life-threatening, it can cause insomnia, fatigue and anxiety in the long run. Exercise doesn’t just help prevent RLS but can also help to reduce symptoms if they are already present. Here are some exercises that soothe restless legs. Cycling is known to calm restless legs and stop muscle twitching. This activity uses most of the leg muscles and the rhythmic movements can alleviate the symptoms of RLS. The intense workout can have very positive effect on your calf muscles. A recent study showed that pedaling a stationary bike three times a week can reduce PLMS at night. 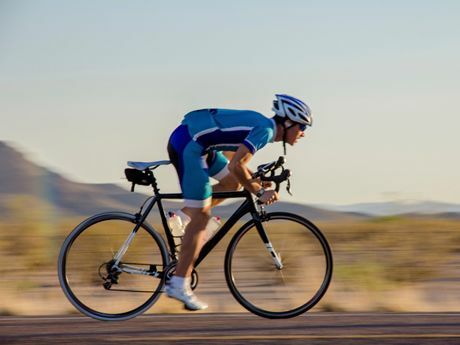 To cycle at a moderate pace, aim for 10 miles per hour or slower.